In late December 2018, President Trump announced that the United States would begin withdrawing approximately 7,000 troops from Afghanistan, effectively cutting the U.S. military presence in that country in half, like reported by soufangroup.com. The drawdown of U.S. troops comes at a critical time, just as al-Qaeda in the Indian Subcontinent (AQIS) is embedding more of its fighters as both military trainers and advisers to the Afghan Taliban. The Soufan Center’s most recent report outlines the threat posed by AQIS, focusing on the group’s strategy of gaining the support of the masses by ‘going local.’ This strategy also means that al-Qaeda has avoided the brunt of United States and Western counter-terrorism efforts for several years, allowing it to resuscitate once dormant networks of allies while building broad-based support and a robust logistics infrastructure. With fewer troops to combat a growing AQIS presence in Afghanistan, 2019 could very well witness a surge in al-Qaeda’s operational capabilities throughout South Asia. This is especially the case as the remaining U.S. troops are focused on fighting militants from the Islamic State Khorasan Province (ISKP) and training and advising the struggling Afghan National Security Forces. Afghanistan and Pakistan remain fertile ground for the rise of militant groups. Over the last three decades, Islam in South Asia has undergone a gradual shift, from moderate and pluralistic to a more puritan Wahhabi brand practiced in Saudi Arabia. The spread of thousands of Saudi-funded madrassas and Wahhabi mosques across South Asia is proving to be an ideal recruiting base for al-Qaeda and other jihadist groups throughout the region. AQIS is a major node in a broad-based, loosely organized jihadist network that has deep roots in South Asia. Until recently, AQIS has relied on traditional methods of clandestine terrorist activity, like using person-to-person contacts for recruitment, training, and indoctrination. Still, it seems inevitable that the group’s efforts, both concerning recruitment and spreading its propaganda, will continue to migrate more pervasively to the Internet and social media. AQIS has adopted a strategy of eschewing the savage tactics of the so-called Islamic State. AQIS’ new code of conduct is a deliberate attempt to reestablish al-Qaeda as the leader of global jihad, a position it had lost to IS since the latter’s rise in 2014. Opportunity in the region abounds: the growing communal divide and increased incidences of violent attacks on Muslims in India have created an atmosphere of fear and exacerbated tensions between Hindus and Muslims in the region. AQIS is attempting to exploit this hostility through repeated Urdu language rhetoric in the form of propaganda pushed out on various social media channels. There is also growing concern over increasing militancy in the contested Kashmir region claimed by both India and Pakistan. This is all part of a well-crafted strategy, which includes infiltrating, operating, and spreading its ideology in countries experiencing relative calm, like India. This model may prove to be al-Qaeda’s blueprint for the future. Even though the majority of recent analysis on foreign terrorist fighters focuses on IS, it is important to realize that, behind the mobilization to Syria and Iraq, the next largest mobilization of foreign fighters was the Afghan jihad. Given the history of failed states and civil wars, along with ungoverned spaces and porous borders, in South Asia, countries like Afghanistan and Pakistan will continue to be attractive destinations for foreign terrorist fighters. The United States in particular and the West in general continue to remain al-Qaeda’s primary targets. AQIS poses a threat to other states in the international system, such as China, which is increasing its presence in South Asia. Recent attacks like the shooting at the Chinese consulate in Karachi and the killing of a prominent Chinese businessman, while not tied to AQIS directly, offer clear signals that China is also a legitimate target for terrorists in the region. A suicide bomber targeted a military base of Afghan National Civil Order forces in Maidan Shahr City of Maidan Wardak province, local officials said on Monday. 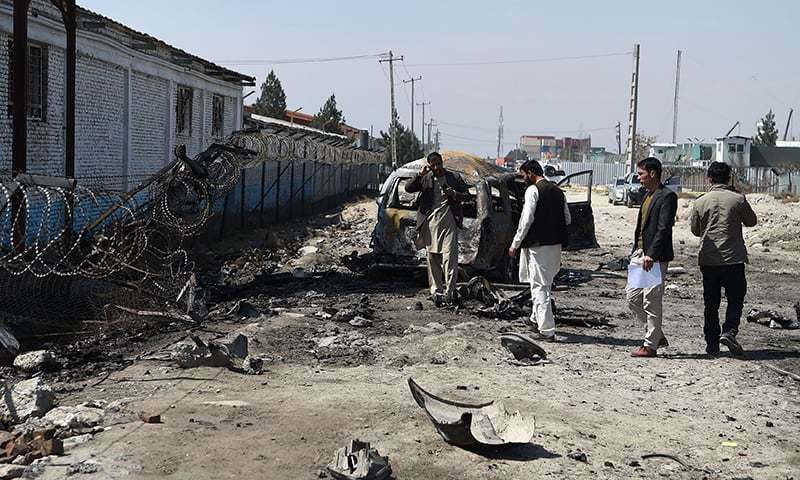 The provincial spokesman Abd-ul-Rahman Mangal told Ariana News that the attack happened early this morning.The attackers entered the military camp after the blast, the provincial council chief said, adding that the attackers engaged in clashes with government forces for about an hour. At least 12 security personnel were killed and 27 others wounded in the militant’s attack, Provincial Public Health officials said. The Taliban militants in a statement claimed responsibility for the attack, adding that a suicide attacker of the group has targeted the base and the rest were engaged in fighting with the Afghan Special Unit. Maidan Wardak is among insecure provinces of Afghanistan, where Taliban insurgents are active in a number of its districts. A leader of a terrorist group Abu Talha has been killed with his six fighters during an operation of the Afghan Special Forces in northern Faryab province of Afghanistan, like reported by khaama.com. The 209th Shaheen Corps of the Afghan Military in the North in a statement said the Afghan Special Forces conducted operations with the help of close air support in Garziwan district on Tuesday. The statement further added that the operations were conducted in Adam Qala area of the district leaving terrorist leader Abul Talha dead with his six fighters. According to 209th Shaheen Corps, at least five militants were also wounded and five weapons were destroyed during the operations. The anti-government armed militant groups have not commented regarding the killing of the militants in Faryab so far. Faryab is among the relatively volatile provinces in North of Afghanistan where the anti-government armed militants have increased their activities during the recent years. Iran and the Taliban have long had their ups and downs. In 1998, the two sides nearly came to a direct clash when Taliban forces killed Iranian diplomats, though the incident ended without a major conflict. However, the 2001 US invasion of Afghanistan, the fear of a resurgent ISIS in Afghanistan, and water issues have prompted Tehran to ramp up its engagement with the Taliban. This tactical alliance will enable Iran to further expand its influence in Afghanistan, like reported by jns.org. The announcement came as a surprise not because the public was unaware of Iran’s secret relations with the Taliban, but because Tehran has always tried to keep its ties to terror groups an “open secret” in an attempt to maintain plausible deniability. Why did Tehran decide to go public about the Taliban connection now? A review of the relationship’s history may help to explain the mullahs’ thinking. Relations between Iran and the Taliban have long had their ups and downs. During the period of Taliban rule, Iran saw the group as a threat to its interests. The two sides almost came to a direct clash in September 1998, when Taliban forces kidnapped and killed nine Iranian diplomats and one journalist in the Iranian consulate in Mazar-i-Sharif. Iran’s Islamic Revolutionary Guards (IRGC) vowed revenge and prepared to launch an all-out attack. But the crisis ended without a major clash, perhaps due to the fear that Islamabad would retaliate in support of the Taliban or that Afghanistan might become a quagmire for Iranian forces similar to that experienced by the Soviet Union in 1979-89. The 2001 US-led military operation that led to the collapse of Taliban rule prompted the Iranian leadership to reconsider its original calculation and recalibrate its approach. It welcomed high-level Taliban figures who escaped to Iran (e.g., Abdul Qayum Zakir and Mullah Naim Barich) and began extending support to Taliban fighters. While the two sides are on different ends of the religious spectrum, Tehran views the Taliban as a useful point of leverage against the US. The International Security Assistance Force (ISAF), a NATO force composed of American, British, Canadian, and other troops, was created by the UN in 2002 and tasked with training the fledgling Afghan army and protecting the government of Hamid Karzai and his successor, Ashraf Ghani. The Iranian regime viewed the ISAF with concern, as it feared the US might use Afghanistan as a base from which to launch a kinetic attack on Iran. The Taliban insurgency thus became viewed by Tehran as a tool with which to keep American forces preoccupied. To assist in the Taliban’s fighting of the ISAF, Iran allowed the Afghan terror group to open an office in Tehran and invited its leaders to attend a two-day International Islamic Unity Conference held by the World Forum for Proximity of Islamic Schools of Thought in Tehran. Iran’s support for the Taliban did not terminate even when President Barack Obama assured the mullahs that the military option was no longer official US policy towards Iran. Intelligence reports indicate that Tehran’s military and financial support for the Taliban has in fact escalated ever since. Afghan military officials have accused the Revolutionary Guards of providing military, financial, and logistical support to the terror group, to the extent that Tehran’s support enabled the Taliban to capture districts in western Afghanistan, including the provinces of Farah and Ghor, and the Taywara district. There are also reports indicating that Quds Force operatives had a “physical presence” in Ghor assisting Taliban fighters in their offensive against the central government. Fighting ISAF was only one of the goals of the Quds Force in Afghanistan. Drug smuggling from Afghanistan to Iran has been a profitable business for the Quds Force, which is known for its extensive ties to drug cartels in South America. In 2012, the US Department of the Treasury (DOT) designated Brig. Gen. Gholamreza Baghbani, the chief of the Quds Force in the Zahedan office, a narcotics trafficker. The DOT document noted that in return for Iranian business, Afghan traffickers moved weapons to the Taliban. Financial incentives aside, the emergence of ISIS in Afghanistan – especially in provinces that border Iran, such as Herat, Farah, and Nimruz – rattled the Iranian regime, prompting the leadership to ramp up its engagement with the Taliban. Unlike al Qaeda and the more malleable Taliban, the radical anti-Shiite ISIS poses a real threat to Iran’s interests in Afghanistan. Providing better training for the Taliban was thus not only a way to undermine the American-led ISAF, but a barrier to a new ISIS caliphate across the Afghan border. Various reports indicate that the IRGC created a training camp in South Khorasan province (Khorasan Jonobi) to train Taliban fighters, providing them with weapons and explosives. The Imam Khomeini Relief Foundation (Komite Emdad Imam Khomeini) in the same province is said to be donating untold amounts of capital to the terror group in addition to calling for volunteers to fight alongside Taliban forces. 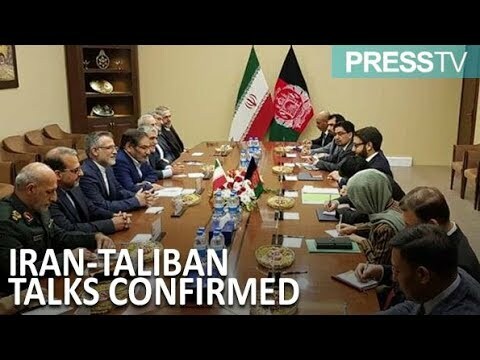 It is worthy of note that the publicizing by Iran of its ties to the Taliban came days after reports appeared on talks between the US and the Taliban over proposals for a ceasefire in Afghanistan. Iran is sending a message to Washington and Kabul that if its concerns are not addressed, it can sabotage any attempt at a permanent peace in Afghanistan. Certainly, given Iran’s ties to the Taliban and the new regional arrangements (i.e., Trump’s decision to withdraw half of US forces from Afghanistan), Iran will be able to further expand its political, economic, and sectarian influence in that country. At least 27 Taliban and ISIS Khurasan (ISIS-K) militants have been killed during the separate operations conducted by the Afghan and coalition forces in the past 24 hours, like reported by khaama.com. 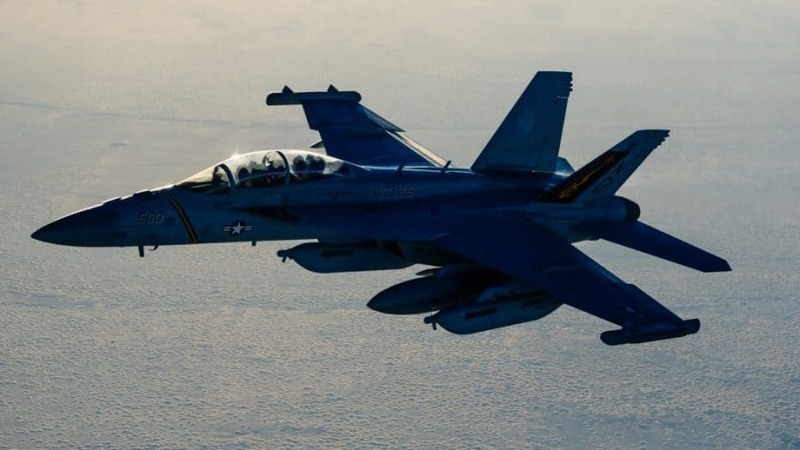 According to the informed military sources, two coalition air strikes in Dahanah-ye Ghori and Baghlan-e Jadid districts of Baghlan province left at least 11 Taliban fighters dead. The sources further added that the Afghan Special Operations Forces conducted a clearance operation in Achin district of Nangarhar province, killing 5 ISIS-K fighters and destroying a weapons cache. 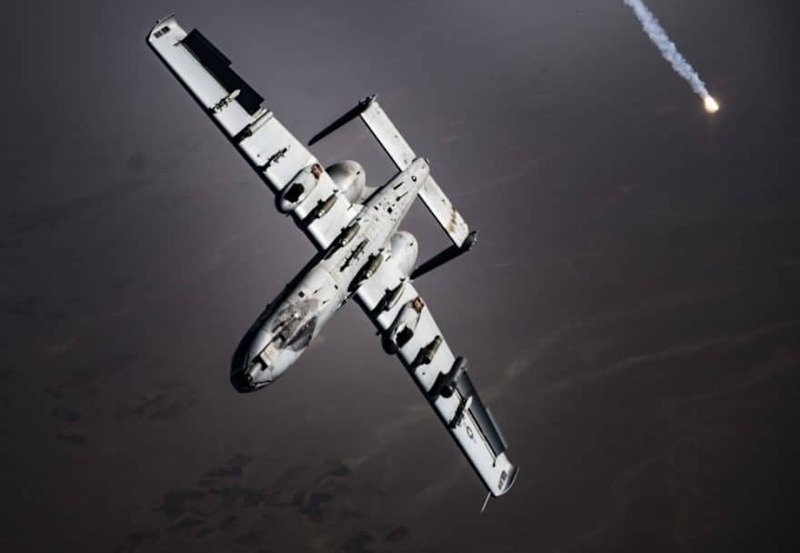 A coalition air strike in Darah-ye Pech district killing 2 Taliban fighters, the sources said, adding that an Afghan Special Operations Forces operation killed 5 Taliban fighters and destroyed a large weapons cache in Paktika. At least four Taliban militants were killed during the separate operations of the Afghan and coalition forces in Tarinkot of Uruzgan and Kandahar provinces, the sources added. 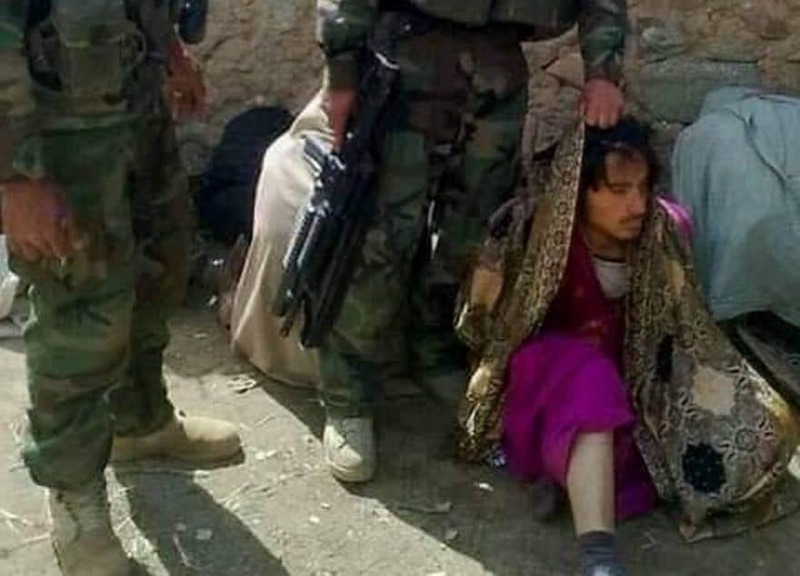 At least ten Taliban militants have been killed and two key members of the group have been arrested during the operations of the Afghan Special Forces in northern Faryab province of Afghanistan, like reported by khaama.com. The 209th Shaheen Corps of the Afghan Military in the North issued a statement late on Thursday, stating that the Special Forces of the Afghan military conducted operations in various parts of Faryab province over the past two days. The statement further added that ten militants of the Taliban group were killed, two others were wounded, and two key members of the group were arrested. At least 17 landmines, 80 kgs of explosives, 2 rounds of 82mm artillery, an armored personnel carrier, and a large quantity of weapons and munitions have been confiscated while two opertaions center and six fighting positions of the militants have been destroyed. The anti-government armed militant groups including Taliban have not commented regarding the operations so far. 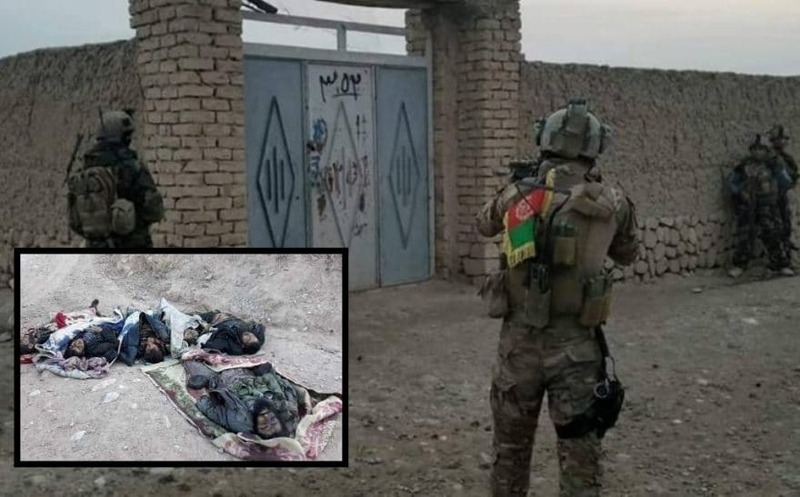 The Islamic State of Iraq and Syria Khurasan (ISIS-K) militants suffered casualties in the airstrikes which were carried out by the coalition forces in eastern Nangarhar province of Afghanistan, like reported by khaama.com. The 201st Silab Corps of the Afghan Military in the East said the coalition the forces’s unmanned aerial vehicles carried out airstrikes in Jangle area of Khogyani district on Wednesday, leaving three ISIS-K militants dead. The statement further added that the airstrike also left another ISIS-K militant critically wounded. ISIS Khurasan militants are in some remote districts of eastern Nangarhar province and often attempt to carry out attacks against the government and security institutions. The Afghan National Defense and Security Forces and coalition forces based in the country regularly carry out operations and airstrikes against the militants of the terror group in this province and other parts of the country. 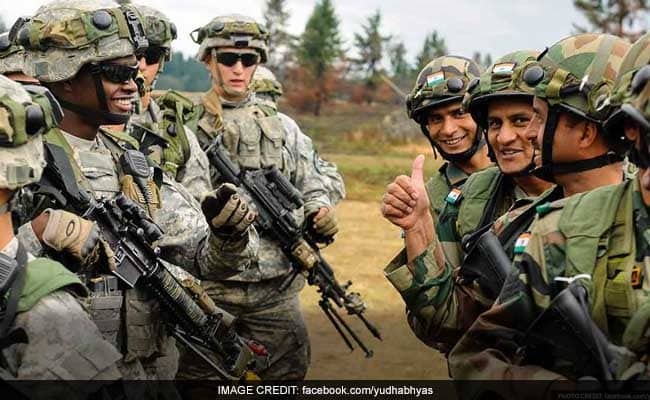 Since 2008, the United States has provided anti-terrorism training for 1,200 Indian security personnel, the US Department of Defence announced according to dawn.com. “Both nations are committed to combating terrorism by strengthening intelligence and information sharing, screening for terrorists and monitoring their use of the internet,” said a policy paper posted on the Pentagon’s official website. In 2016, the United States designated India a major US defence partner and in June this year they pledged to broaden military-to-military engagements, including maritime cooperation, promoting mutual interests in high-technology and facilitating defence trade between US and Indian businesses. Recently, the two allies signed a Communications Compatibility and Security Agreement that allows both India and the US to operate on the same communication systems, enabling further opportunities for interoperability in military engagements. The Pentagon report pointed out that the India-US Joint Strategic vision affirms the two nations’ shared views for stability in the region and allow them to develop a roadmap to improve security architecture and strengthen regional dialogues. Several Taliban militants have been killed in separate airstrikes conducted by the Afghan Special Forces and Coalition Forces based in Afghanistan, like reported by khaama.com. The airstrikes have reportedly been carried out in Helmand, Uruzgan, Laghman, Logar, Ghazni, and Faryab provinces in the past 24 hours. According to the informed military sources, Afghan Special Operations Forces conducted a raid in Musa Qalah, killing 6 Taliban fighters and destroying 2 roadside bombs, while the coalition forces carried out a separate airstrike in support of the Afghan forces and self-defense in Musala Qala district, killing 3 additional Taliban militants and destroying a weapons cache. Similarly, Afghan Special Operations Forces conducted a raid in Safaar of Helmand, killing 5 Taliban fighters while a coalition air strike killed 1 Taliban fighter in Nahr-e Saraj, the sources said, adding that a coalition air strike in Tarin Kot of Uruzgan left 2 Taliban fighters dead. In the meantime a coalition air strike killed 1 Taliban fighter in Qarghah’i district of Laghman and the Afghan Special Operations Forces killed 1 Taliban fighter in Baraki Barak of Logar. 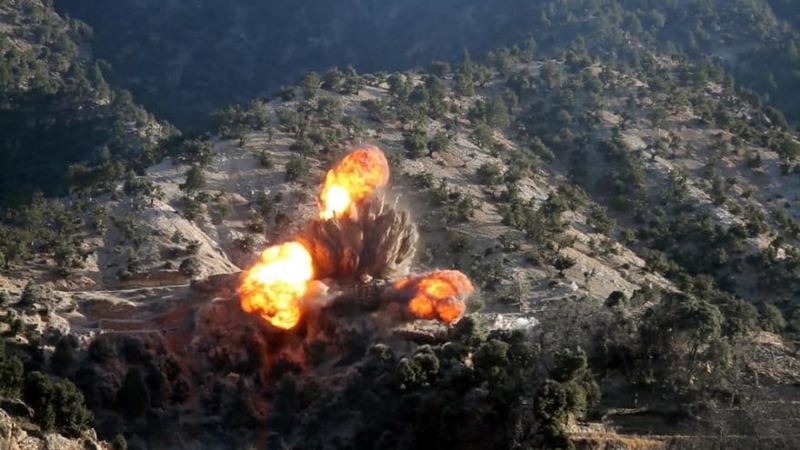 A coalition air strike near the Deh Yak District Center destroyed 1 vehicle-borne IED and in a separate operation in Faryab, the Afghan and coalition security engaged Taliban fighters in Maimanah, killing 3, the sources added. At least sixteen militants of the Taliban group were killed and an operations center of the group was destroyed in an airstrike conducted in southern Helmand province of Afghanistan, like reported by khaama.com. According to the informed military sources, a coalition airstrike today killed 16 Taliban fighters and destroyed an operations center. Earlier, at least 29 Taliban militants were killed during the airstrike of the coalition forces in southern Kandahar province of Afghanistan. According to the military sources, the airstrikes were carried out earlier this week in Shahwali Kot district of the province. The sources further added that a commander of Taliban was also among those killed. The Afghan forces also conducted a force protection patrol operation in Shahwali Kot district of Kandahar which resulted in the killing of 5 Taliban fighters killed, the sources said, adding that coalition forces conducted an airstrike killing 2 Taliban fighters and destroying one vehicle in Pashtun Kot district of Faryab. The anti-government armed militants including Taliban have not commented regarding the recent operations and airstrikes so far.